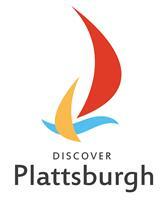 MAKE SURE TO CHECK OUT OUR NEWLY UPDATED SITE: WWW.PLATTSBURGHRECREATION.COM FOR ALL UPDATED INFORMATION ON THE RECREATION DEPARTMENT! Subject to Blackout wins Wiffleball Championship! Trim's Boys 12. Kevin Leavine Team 10. Kevin Leavine Team - Ian Passino Home Run. Trim's Boys 13. Bobby's Lounge (Had been defending Champions) 6. Trim's Boys - James Hemingway/JT VanValkenberg each had Home Run. Bobby's Lounge - Bobby's Hall 2 Hits w/Home Run. Peabody's 2. Lashway's Meat Market 1. Peabody's - James St. Denis 2 Hits to lead team. Lashway's Meat Market - Travis Marshall had only hit for team. Subject to Blackout 10. Trim's Boys 6. Subject to Blackout - Shane Perrotte 2 Home Runs... Billy Davis/Matt Rivers/Jordan Maille each had Home Run. The Prowlers 3. Peabody's 2. The Prowlers - Chris Hemingway 3 Hits. Peabody's - Brian D'Aust/Dan O'Connell each had 1 hit. Subject to Blackout 8. The Prowlers 3. Subject to Blackout - Jordan Maille Home Run (Playoff MVP)... Matt Rivers 2 Hits. The Prowlers - Kiel Peryea Home Run to lead team.